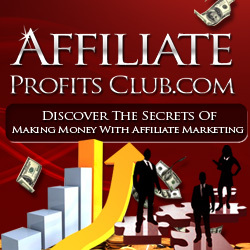 You are here: Home / Make Money Online / What Article Marketing Website Allows Affiliate Links? There is one powerful article marketing website that will allow you to put in affiliate links when you’re submitting an article. That site is GoArticles. Some of you may have tried to submit articles there only to have them rejected. A rejection usually comes because the terms of service weren’t followed to the letter. When you’re submitting articles to any website, always read the rules first. Some sites take shorter articles and a 250 word article would pass muster but most are at least 300 words or longer. Don’t use blatant promotion. In GoArticles, authors have to put links to their products or services in the bio area rather than the article. EzineArticles doesn’t allow affiliate links, but they do allow you to purchase a dot info domain for about $0.89 that you can use in your articles to redirect to an affiliate website, which is a good way to get traffic. But there are also other highly visible directories that allow affiliate links as long as you put them in the right place and you don’t go over the limited number of links allowed. Don’t shy away from using the resource box at the bottom of your article for your affiliate links. When an article marketing website such as Ubscure.com lets you place links in your resource box, make sure you know how to use that privilege to your advantage. Submit a high quality, helpful article and check it for spelling and grammar. The reason that many sites don’t let authors put affiliate links directly in the article is that directories let other websites use the content you post. They personally don’t care if you’re promoting stuff – but other sites might. Now if you’re wondering why this rule of ‘affiliate links in resource box only’ is important, it’s because it makes the content more desirable for other sites to share your valuable information. You want your information shared because it helps build both your reputation and the amount of traffic that you get. These sites are there for you to use, but only as far as you’ll use them wisely. Don’t just take – give something to the site as well. Make sure your article is worthy. You can also put together a good quality article and submit them on a document sharing site. While they’re not technically an article marketing website, they serve the same purpose and you’re allowed to use affiliate links. The only drawback is that if your article is clearly self promoting and the article offers no real value, it will be deleted from the site and you won’t be allowed to post anymore.